This item is Out Of Stock until April 18, 2019. You can order now, but please be aware that this item won't ship until April 18, 2019. New and more compact than the Tritons you already know. Platform Size 2.25" x 2.9"
Scale Size 4.75" x 2.9" x 0.75"
Advanced Digital Weighing Technology? The Triton Mini was built with true, 10,000 division German HBM weighing sensors. This Advanced Digital Weighing Technology is going to give you the most accurate weight readings. Bright Backlit Display The Triton-M 400 has a fancy, red, backlit display to help ya see your weight readings, even in dim lighting. 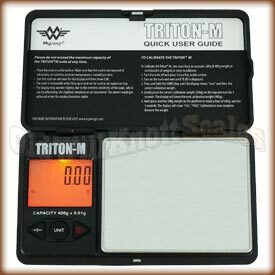 Easy Calibration The Triton Mini pocket scale comes factory calibrated and ready to use. 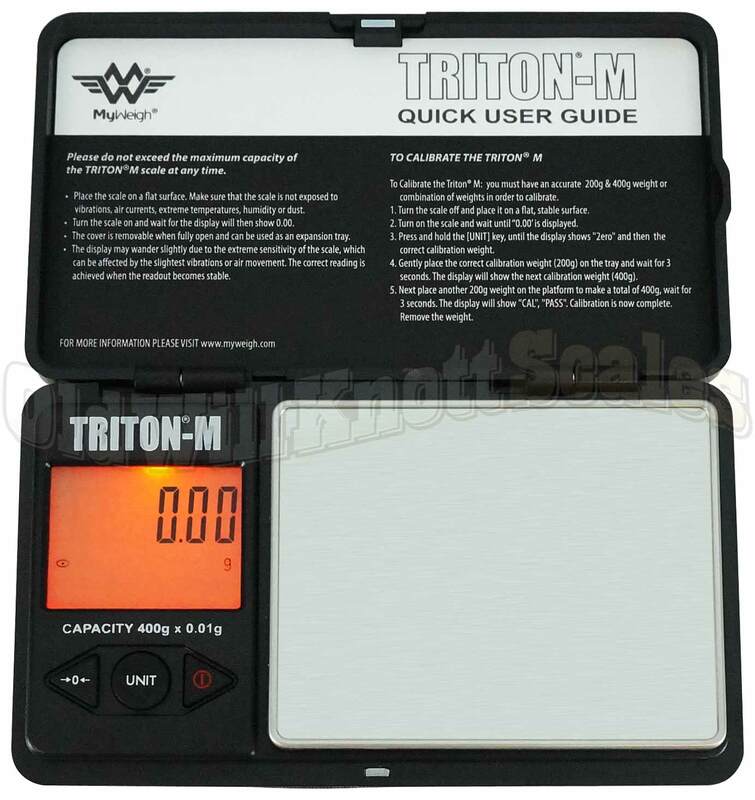 Just in case ya need to calibrate it, the Triton M comes with easy to follow calibration instructions. You'll just need to pick up two 200 gram calibration weights to get the job done. The Protective Cover Does Double Duty! This tiny scale's hard protective cover is great for keeping your scale safe when ya aren't using it...and it doubles as a nice weighing tray. Since it has edges, you can weigh all kinds of things that would normally roll right off the platform. Stainless Steel Platform The Triton-M 400 has a durable stainless steel weighing platform to make cleanup a breeze. Stainless steel is great because it doesn't scratch easily and keeps its shine without rusting or tarnishing. It Remembers The Last Unit Ya Used If your application needs weights in the same unit of measurement, (like ounces for instance), it can be a real pain if your scale always turns on ready to weigh in grams. It's a good thing the Triton-M 400 turns on displaying the unit of measurement you were using when ya turned it off. Energy Saving Auto-Off If ya have ever had the batteries in something run out because you forgot to turn it off, you'll realize what a blessing this feature is. The Triton Mini will automatically turn off after about a minute of inactivity, saving battery power and money. 30 YEAR MANUFACTURER'S WARRANTY! If ya have a problem with this digital pocket scale, just send it to MyWeigh's warranty center in Phoenix, Arizona. They'll fix or replace your scale and send it on its way back to ya within a week of receiving it. You should expect your replacement to arrive in about two to three weeks from the day you send the original off. 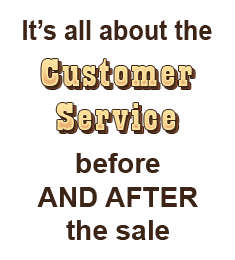 Keep in mind that sometimes MyWeigh runs out of stock, which can cause a delay in the warranty replacement process. My Weigh Triton M 400 It's fast and easy to use. It works fine, nice and small. Easy to use. Display is very legible. Zero's out quickly. Even after adding more product the scale stabilizes quickly and displays the weight. It's fast and easy to use. Survived shipment via USPS with no dings and arrived quickly. The only “CON” I could find so far was right after the very first time I opened the scale. Let me tell you why! Because when the lid is open all the way open it comes apart very easily from the scale with no effort. So I almost dropped it because I got caught off guard when I opened it up to look at it for the first time. Scale should have a safety lock mechanism to unlock the lid from scale and reattached the lid back to scale!!! And that’s the only reason I gave it 4 stars.. the actual scale is very accurate just needs lid Fix! I tried 3 scales before I found the MyWeigh Triton M 400. They all had their issues. However, the Triton M is perfect in every way. I does really well with lighter weights like .01g and .02g. The display is bright and easy to read. The size is perfect, not too big and not too small. I'm extremely happy with this scale. Excellent product and exactly what I wanted for weighing precious metal and coins. Helps to immediately spot a fake and avoid the problems associated with such items. Small, lightweight, compact, with a great warranty make this a tremendous item at this price point. Highly recommend this item and the company that sells it. This small scale has been doing a great job for me and it was a breeze to calibrate. The 400 g capacity is more than I need and it has greater accuracy than many larger more expensive models. Just right for my applications. Recommended.